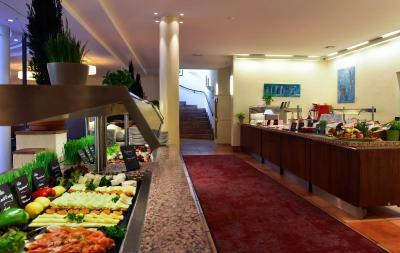 Lock in a great price for Best Western Premier Hotel Villa Stokkum – rated 8.4 by recent guests! Perfect location. I work in the Thermo Fisher factory on Langenselbold. 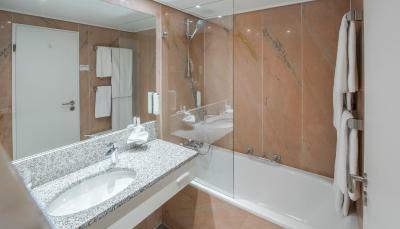 This hotel is very refreshing, staff is fantastic and it is very helpful. I will continue to stay at this hotel as long as they have a vacancy. Nice hotel, very clean and great atmosphere.... breakfast is little bit expensive but great food and everything is available. Excelent fitness room. The big screen smart TV in the room was also a nice surprise. 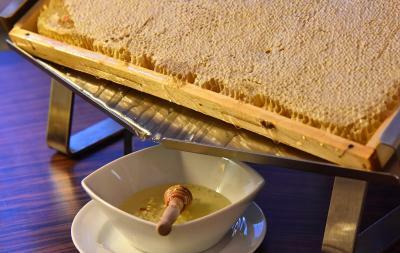 bed was very comfortable, bircher muesli at breakfast delicious! The hotel is located in a very nice location away from traffic. The hotel is very good for leisure and relaxation. We have enjoyed our stay in this hotel and would recommended it for other travelers. Good and friendly environment. 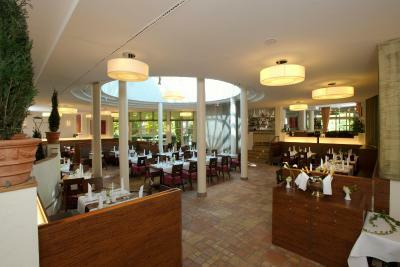 Bonus is the central location to Steinheim's old town with it's restaurants and a bars. Also the breakfast for 18 Euros is recommendable. Other than this you cannot go wrong for an overnight stay at this hotel. It is very nice business hotel. Very close to the high way but also to all locations in the city. Personal is very professional and friendly. 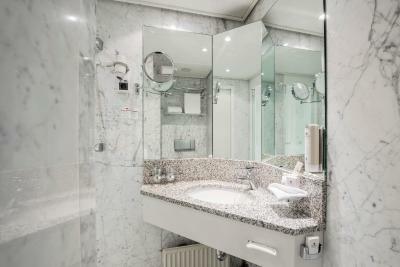 Best Western Premier Hotel Villa Stokkum This rating is a reflection of how the property compares to the industry standard when it comes to price, facilities and services available. It's based on a self-evaluation by the property. Use this rating to help choose your stay! 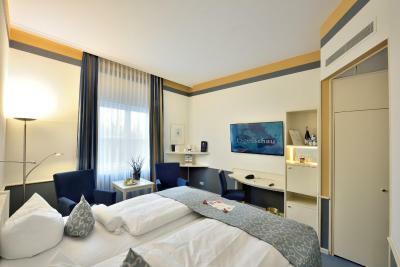 In a peaceful district of Hanau, just 16 miles east of Frankfurt, this 4-star hotel provides cozy accommodations and excellent transportation services. The Best Western Premier Hotel Villa Stokkum provides spacious rooms with modern amenities, including free Wi-Fi internet access. 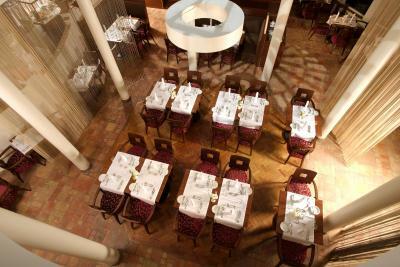 Diners can enjoy a range of delicious meal options and refreshing beverages in the Atrium Restaurant. As a visitor to Hanau, you can explore the birthplace of the famous Brothers Grimm and Philippsruhe Castle. 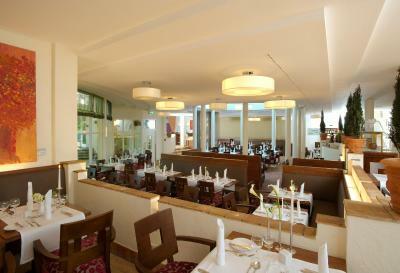 The Best Western Premier Hotel Villa Stokkum is located right next to the historic Steinheim town wall. 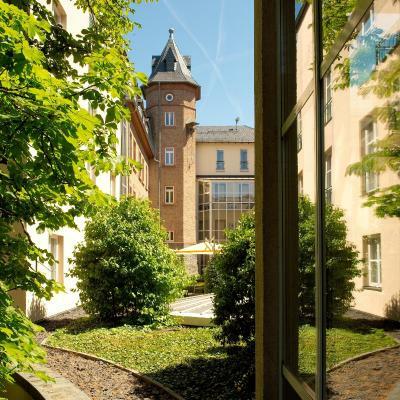 Many of Frankfurt's most popular destinations can be reached within minutes of the Best Western Hotel Villa Stokkum. The exhibition center, the airport and Frankfurt train station can be reached in around 25 minutes. 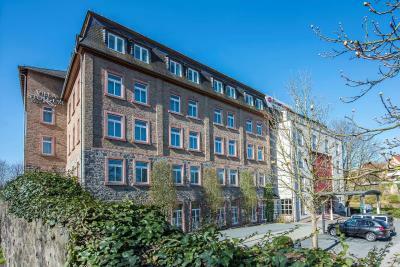 This property also has one of the top-rated locations in Hanau am Main! Guests are happier about it compared to other properties in the area. This property is also rated for the best value in Hanau am Main! Guests are getting more for their money when compared to other properties in this city. 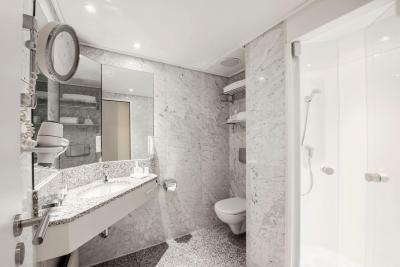 When would you like to stay at Best Western Premier Hotel Villa Stokkum? 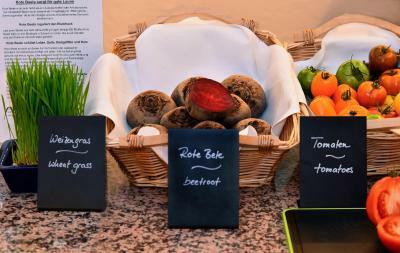 House Rules Best Western Premier Hotel Villa Stokkum takes special requests – add in the next step! Best Western Premier Hotel Villa Stokkum accepts these cards and reserves the right to temporarily hold an amount prior to arrival. nearby ABB and gr8 view of hotel. room is small. Great stay. The gym is really good - I really enjoyed exercising there, and I don't normally like going to the gym! Great gym and even the smallest rooms are pretty big! Easy parking, friendly check in. 3th time I stayed here and first time I had a room on highway side, was pretty noisy. The hotel should not charge guests with any extra for parking, for example. Double bed had only a single quilt! Internet connectivity (WiFi) needs serious improvement. Connection was weak and/or unstable - at no time did I have the advertised internet speed. Even the business center desktops were on slow WiFi. Friendly staff and a clean facility. For dinner I was alone entering the restaurant asking to be seated. I was told to wait 1h. I thought it was a joke but I couldn't even get fries at the bar due to group scheduled to come for dinner.